Irwin Allen produced and directed a lot of films, and television as well of course. What I’ve tried to do here is to list some familiar and popular theatrical features along with one of his more obscure made-for-TV productions. Hopefully this gives an accurate representation of the many pleasures his works have to offer. 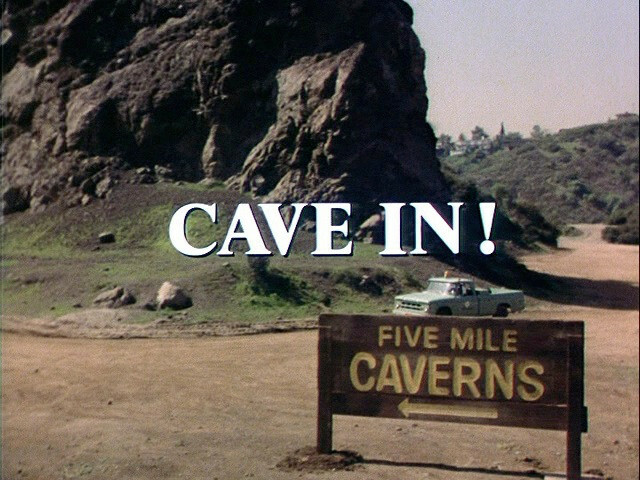 A failed 1969 TV pilot served as the basis for this TV movie about an experimental underwater community called Pacifica. As all of the gold in Fort Knox is being moved in to storage there, along with a volatile new element can only be stabilized by the gold, a group of citizens plots to destroy Pacifica to steal it all. Oh, and an asteroid is on course to wipe them all out. This is ridiculous and a lot of fun for Allen fans. Robert Colbert, James Darren, and Whit Bissell from The Time Tunnel are in it. Richard Basehart and Robert Dowdell were in the TV series of Voyage to the Bottom of the Sea . Also there’s Robert Wagner (who later appeared in The Towering Inferno and the always-welcome Joseph Cotton. Plenty of other Allen irregulars show up as well, including Sheila Allen as a woman who wants to take her dress-making dummy in the evacuation of Pacifica. Based on Paul Gallico’s book, this movie follows a group of survivors trying to escape from a capsized luxury liner. It won an Oscar for Best Music: Original Song (“The Morning After”) and made a big enough splash that it spawned a delayed sequel, 1979’s Beyond the Poseidon Adventure , directed by Irwin Allen. Gene Hackman, Ernest Borgnine, Shelley Winters, Roddy McDowall, Leslie Nielsen — if this cast doesn’t grab your attention, how about all of them wading through water tank sets? In 1957, Africanized honey bees escaped in Brazil. The aggressive strain began to kill their natural rivals and make their way north, reaching North America in 1985. Based on the book Arthur Herzog, this film depicts a swarm of the killer bees destroying a town in Texas. This one is endearingly overwrought and ridiculous. The bees manage to wreck a train, and when a school is attacked the carnage is reduced to bees crawling on a giant lollipop. Based on novels by Richard Martin Stern, Thomas N. Scortia, and Frank M. Robinson, this film about a skyscraper burning won Oscars for Best Cinematography, Best Film Editing, and Best Music, Original Song (“We May Never Love Like This Again”). Paul Newman and Steve McQueen head the all-star cast. Flames, fire hoses, collapsed staircases… this is the big one, the classic. If you’ve seen only one Irwin Allen production I’m willing to bet it was this one. The cutting edge submarine Seaview, designed by Admiral Harriman Nelson (Walter Pidgeon), must stop global warming — by blowing up the Van Allen Belt! Bad science, lots of action, global catastrophe, and sabotage, in the film that inspired Irwin Allen’s longest running show. Nothing in this makes a lick of sense, but it doesn’t need to with a supporting cast that includes Joan Fontaine, Peter Lorre, Barbara Eden, Michael Ansara, and Frankie Avalon! The year before this film aired Jaws featured a mayor who wouldn’t close the beach because he feared a loss of tourist dollars. I doubt it’s coincidental that the mayor in this movie refuses to heed warnings about the dam because he fears a loss in fishing revenue. Town drowns because the mayor buries a report that says the dam needs repairs. Irwin Allen also produced the TV movies Fire! (1977) and Cave-In! (1979, but finally aired in 1983). Despite the exclamation points, all three of these are fairly tame movies compared to the high-casualty disaster films he produced for theaters. The conceit of Sir Arthur Conan Doyle’s The Lost World is enthralling. Explorers discover a region that stands apart from the modern world, where evolution stood still; a place where tribes battled apes—sure, he was ripping off Jules Verne to some extent, but who didn’t? And it is Doyle’s title that we use to describe plots that involve isolated pockets of prehistoric life. 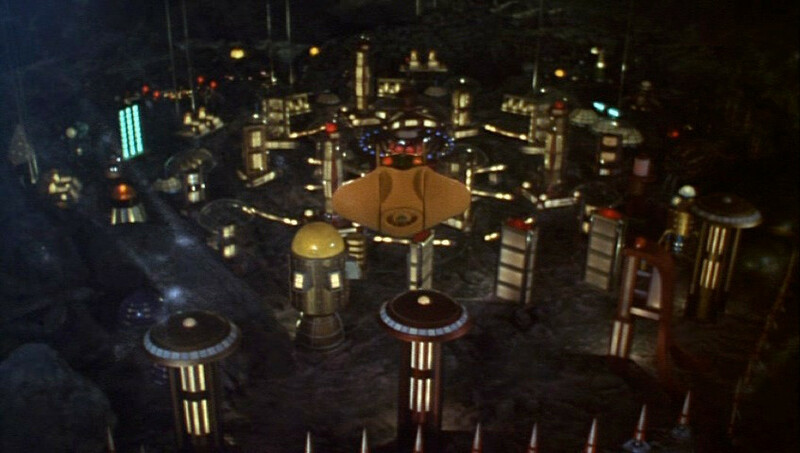 It’s been filmed many times but only once was it done by the master of disaster, director and producer Irwin Allen. There is no question what this movie will be about. Irwin Allen was the legendary producer behind Voyage to the Bottom of the Sea (film and show), The Poseidon Adventure , The Towering Inferno , and the shows Lost in Space , The Time Tunnel , and Land of the Giants . He also let this made-for-TV movie happen, which is just the sort of thing that’s bound to turn up eventually on a lengthy CV.